At this time of year, some grass may die back as the lawn starts to grow, creating spongy areas. If conditions are mild and dry in late February to early spring you can scarify the lawn now to remove moss or thatch. Use a scarifier attachment with your garden tractor, an electric/powered scarifier or simply a rake. 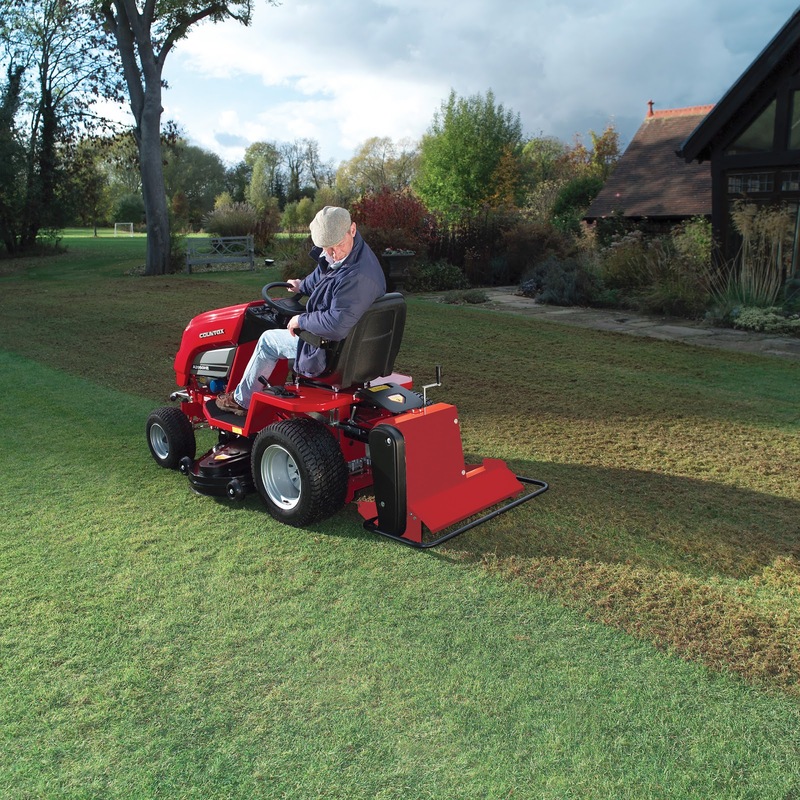 Grass roots need oxygen so if you didn’t have a chance in January to aerate the lawn do so now – a garden fork will do the job or a spiker/aerator attachment on the garden tractor can be used if the ground is not too soft and wet. For the most part the lawn will keep itself relatively weed free. If it needs a helping hand towards the end of the month, you can apply 'lawn sand' which will help prevent moss and daisy growth. Top dressing helps to improve the soil and there are many brands available. Ideally a combination of loam, sand and peat (or peat alternative) is what you need. Depending on your soil 40% loam, 40% sand and 20% peat or peat alternative will do the job. Just sprinkle about a kilo per square metre over the soil and rake it in. Use a rake too or a lawn brush to scatter worm casts if the conditions are dry. If there are frosts / frozen ground / waterlogged soil then you should keep off the lawn. In spring, as the grass starts to grow, give it a liquid feed. Don’t be in too much of a hurry to cut, and when you do, start with a high cut and then gradually lower for subsequent cuts.